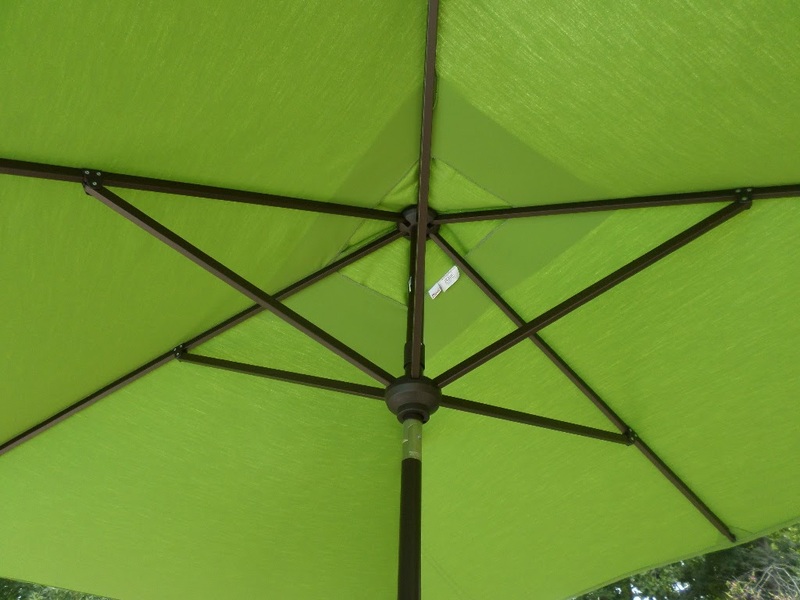 Rectangular Patio Umbrella - What Features and What Size is the Best? 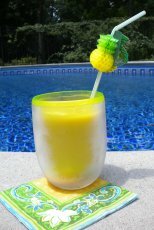 A rectangular patio umbrella is a great shaped pool umbrella to use in an oval or rectangular shaped patio table or we found it provided great shade over our outdoor bar area. We only get pool umbrellas that have a crank opening. To protect your umbrella from wind and storms it's a good idea to close and tie it up when not in use so it doesn't blow out of the stand or table. All of our umbrellas are now made out of Sunbrella fabric. 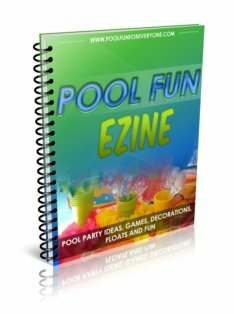 It will be more expensive, but the fabric is true to it's promise of being fade, stain and mold resistant. 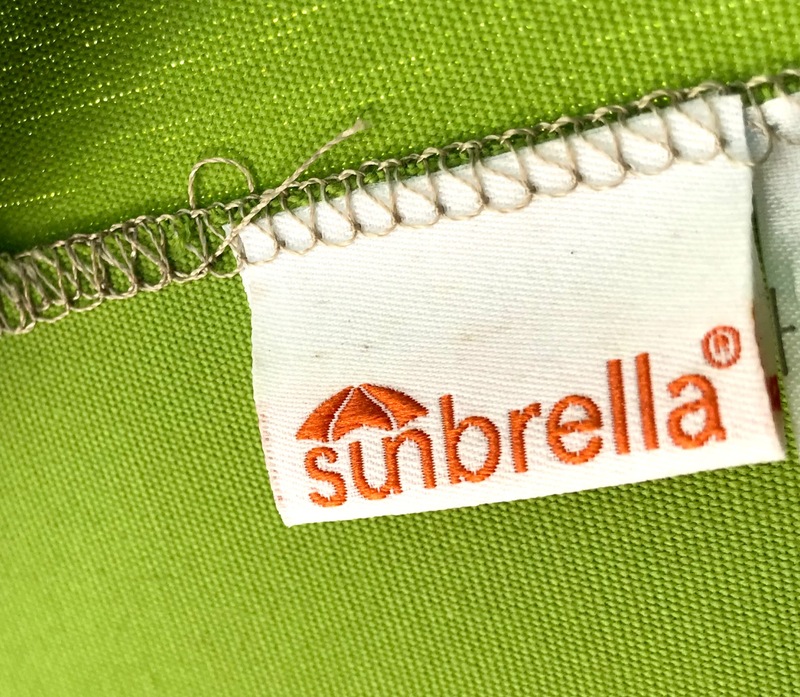 We've had some of our Sunbrella umbrellas for over 5 years and they still look like new. You save money by not having to replace them. 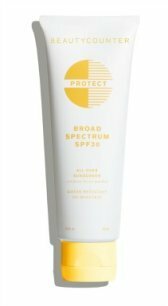 The third feature that we always look for is the tilt option making the umbrella more protective against the sun more hours of the day. Our oval shaped patio table had an 11' round outdoor umbrella which didn't do a great job of providing shade to the guests sitting on the ends. So we switched to the rectangular shaped patio umbrella. Now all of our guests can dine in cool comfort. This is a great shape for decks that can't accommodate a large round diameter whether it's for an outdoor conversation set or a patio table. 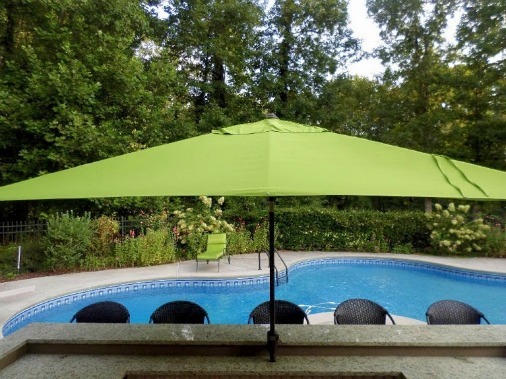 Some people use it near a large window that get's too hot in the afternoon as an "awning" and others have used this umbrella near the pool for some pool shade. 8' x 11' or 8' by 10"
An 8' X 11' outdoor umbrella shades a 60" to 84" wide patio table. 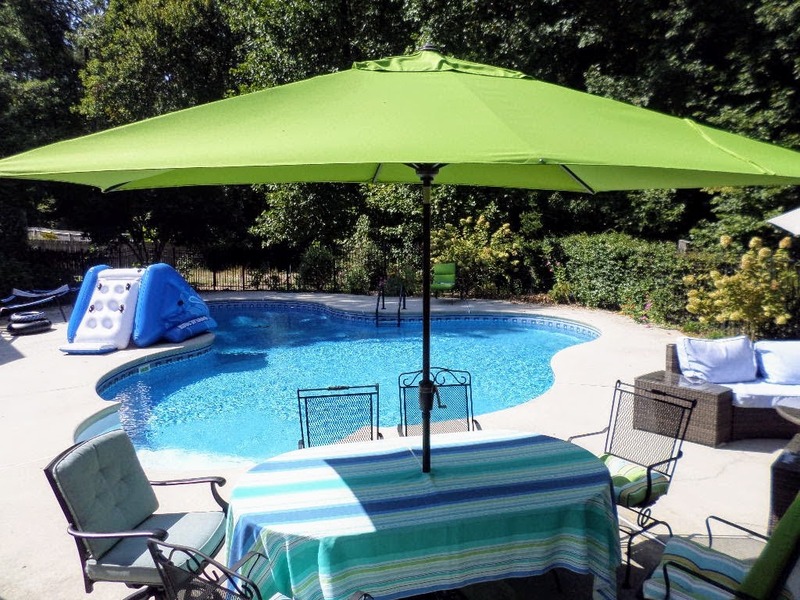 If you are limited in the width of the umbrella - this is a good shape to use as a deck umbrella - the rectangular patio umbrella is not as wide as most round outdoor umbrellas. You can't have an outdoor umbrella without an umbrella base. The umbrella stand protects your investment so that the pole or ribs don't get damaged from a high gust of wind that will have it landing on the cement pool deck or yard. 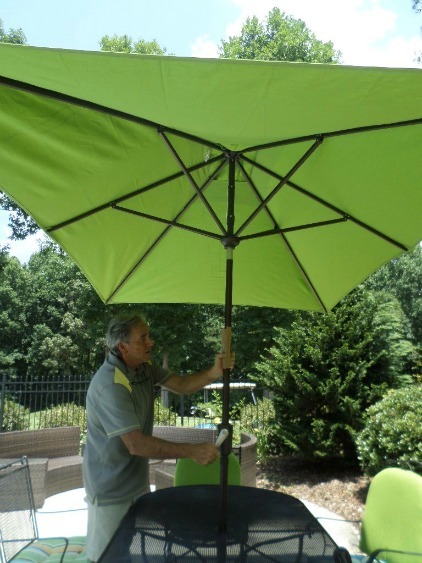 Check out these guidelines for your patio umbrella base recommendations and how to easily add more weight to your existing umbrella stand for this size umbrella.